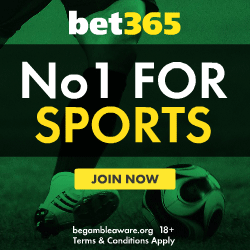 The '15' part of its name comes from its 15 constituent bets and the 'lucky' part comes from the fact it is often the target of bookmaker bonuses, the most common of which are an all winner bonus, a one loser bonus and an one winner consolation bonus. Bonuses typically take the form of a % increase in returns or increased odds in the case of the one winner consolation - check with each bookmaker to find the most up-to-date information. Also worth noting is that bonuses are rarely if ever paid on each-way parts of the bet. The bonus aspect of this wager makes it a popular choice for punters considering multiple selections. Each of the 4 selections has the same effect on returns, meaning the order in which bets are written on the slip is not important. Winnings for the lucky 15 can be worked out by hand but most people prefer to use a tool like the lucky 15 bet calculator. To get a feel for how different outcomes affect the payout try entering different odds and changing the stake. Choosing one or more winners will guarantee a return from this bet. Lucky 15 bet calculator - Work out the returns on your 3 selection lucky 15 bet, factoring in bookmaker bonuses, dead heats, non runners and each way options. Fast and easy to use, just enter the details and your winnings will update automatically. What is a lucky 31 bet? - If you find yourself with 4 preferred selections, the lucky 31 is definitely worth knowing about. Similar to the lucky 15 but with an extra runner. Bonuses are still available and usually higher given the decreased chance of all 4 choices coming in. What is a lucky 63 bet? 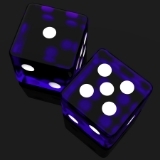 - A 5 selection wager offering the biggest bonuses out of all the lucky bets. Learn about the composition of this wager and the different bonuses available.